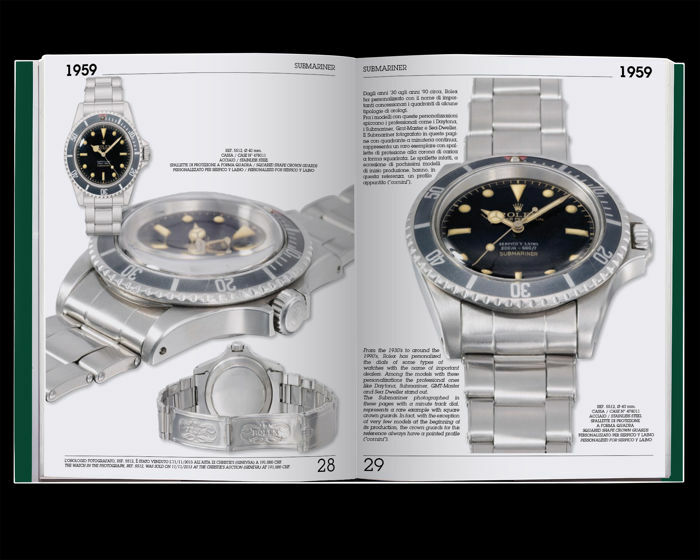 Cover price: €790. Publisher: Guido Mondani. 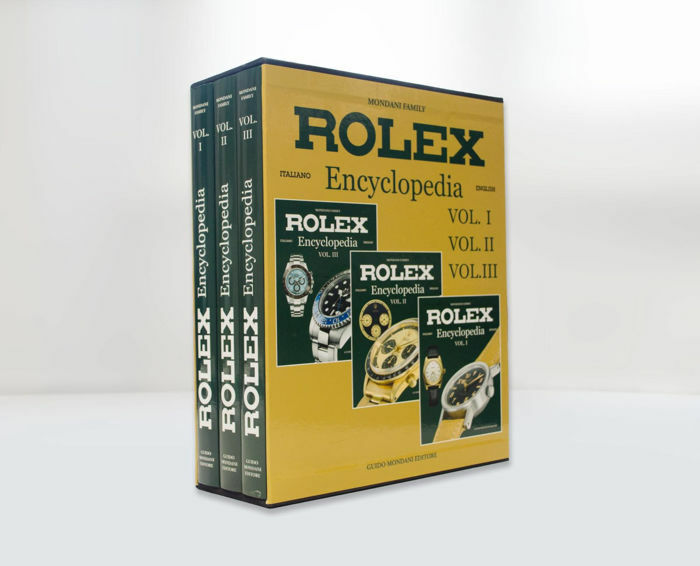 Authors: Mondani Family, 648 pages, 3 volumes in an elegant slipcase, 25.5 x 31.5 cm. 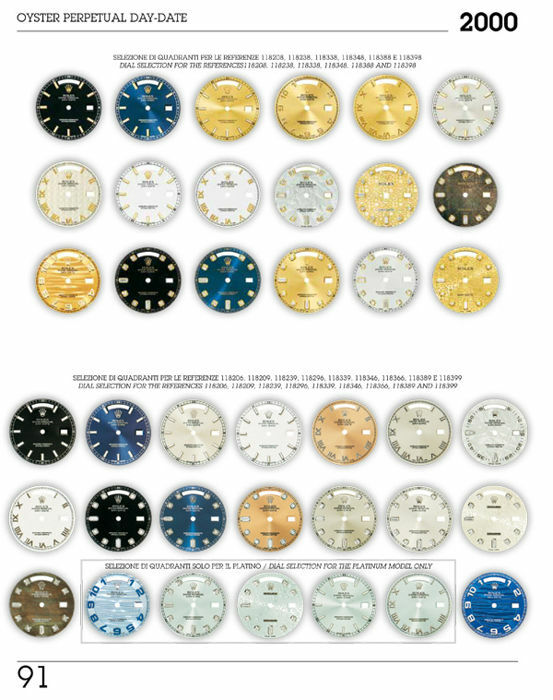 Text in English and Italian. 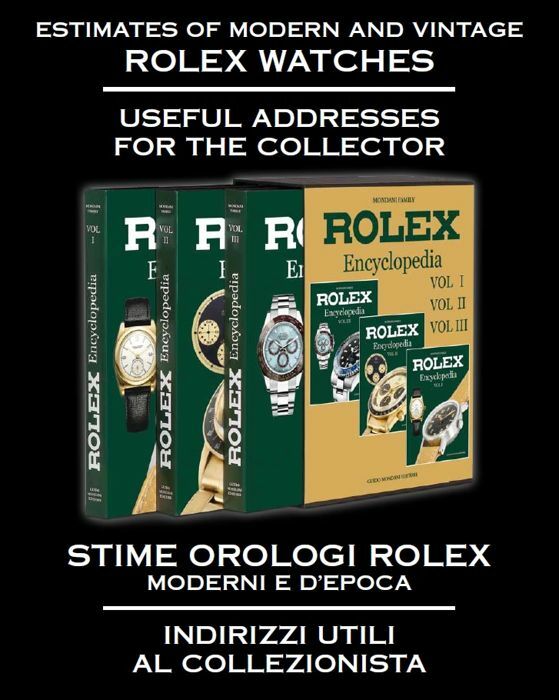 Free shipping within Italy. Worldwide shipping. Delivery within 5 days. 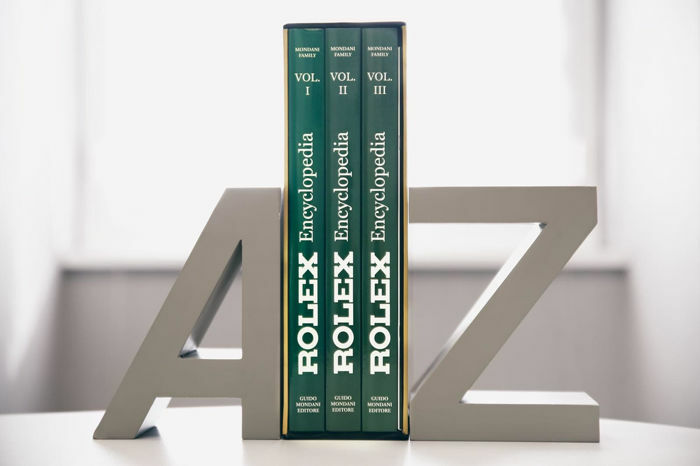 This is the ultimate literary work on Rolex watches: The entire Rolex production from 1905 (Year in which Hans Wilsdorf launched his first wristwatch in London, and created Wilsdorf & Davis) to today. 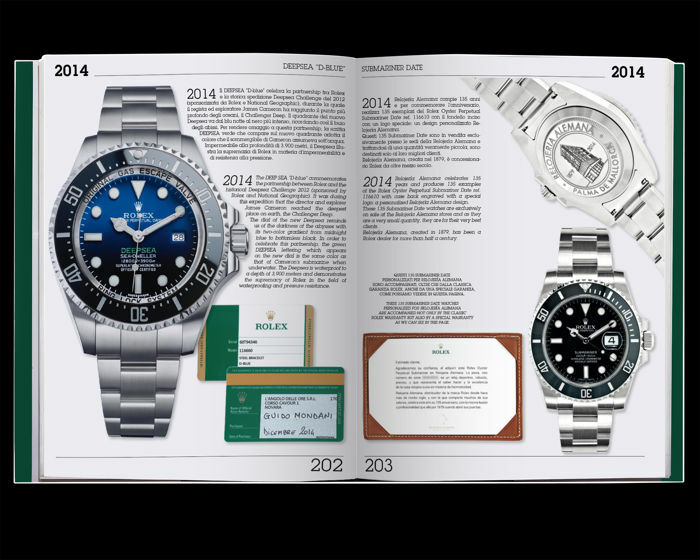 They illustrate, describe and analyse every Rolex watch, telling their story, detailed technical features and updated price. 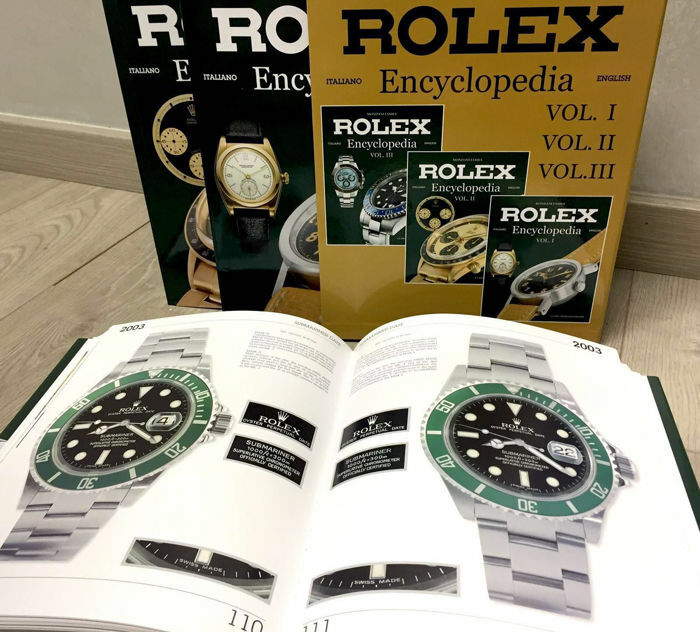 Rolex Encyclopedia presents new pictures, never seen before, antique ads, new information and many fun facts. 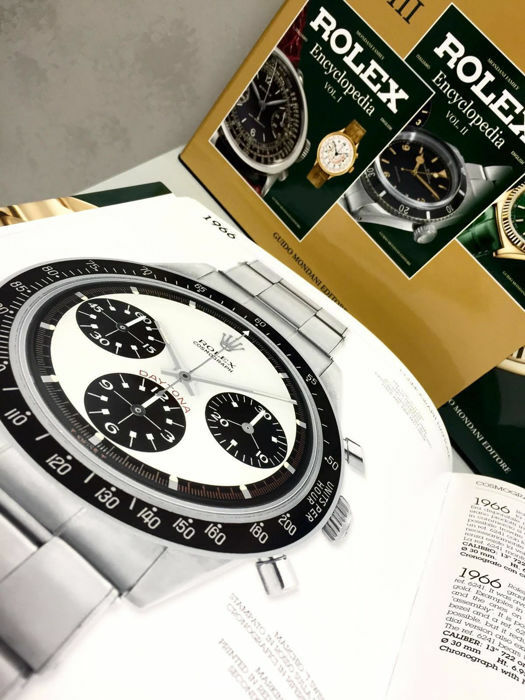 List of topics: Air-King, Bart Simpson, Bicchierini dial, Bubble Back, Buckley dial, Comex, Cosmograph, Chronographs, snap case Chronographs, Dato-compax, Daytona, Deep Sea, Double Red Writing, Exclamation mark, Explorer I, Explorer II, Explorer dial, Moon phases, Feet First, Glidelock, Glossy dial, GMT-Master, Ghost dial, Green, Hulk, James Bond, Lumi dial, Meter First, Milgauss, Military, Oman dial, Oyster Date, Oyster DateJust, Oyster DateJust II, Oyster Day-Date, Oyster Day-Date II, Oyster No Date, Panerai, Patent Pending, Patrizzi Dial, Prince, Customised Dials (Astrua, Bucherer, Cartier, Cuervos y Sobrinos, Panama Canal, Polipetto, Ronchi, Serpico y Laino, Tiffany, Verga, Versace), Quartz, Rehaut, Red Writing, Sea-Dweller, Sky-Dweller, Spider dial, Sub-aqua, Submariner, Texan, Triple six, Tropical dial, Turn- O-Graph, Underline, Yacht Master. 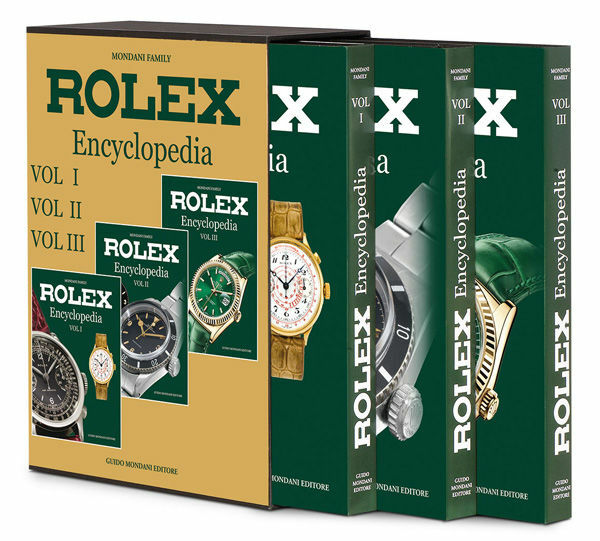 Rolex Encyclopedia provides the reader with estimations for all Rolex watches based on their condition, and updated prices on currently produced watches.